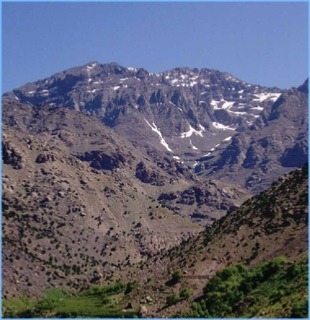 This 3 days tour from Marrakech to M’hamid, Its one of the best Erg Chigaga tours from Marrakech, it will takes us over the High Atlas Mountains and reaches Sahara desert of Erg Chigaga by the second evening to return to Marrakech via a different route. Departure from Marrakech to cross the Tizi n Tichka pass in the High Atlas Mountains with a short stop for coffee and visit of Ait Benhaddou Kasbah UNESCO World Heritage site,then carry on over the Anti Atlas mountains via the Berber villages of Agdz and the amazing Draa Valley We will have dinner and spend the night in nice kasbah. After breakfast, we will leave Agdez the heart of the Draa valley To Erg Chegaga Via Zagora . We will continue towards the doorway to the Sahara Desert –M’hamid. We will visit the original town of the 16th-century dynasty Tamgroute and the old Koran library and to see the ceramics the area is famous for. We arrive at the Saharan village of M’hamid before taking the off-road track to Erg Chegaga. We will ride the camels into the desert to see the sunset on top of the dunes. We will have a traditional tagine dinner, drink delicious mint tea, listen to traditional Berber music while watching the stars and the rising moon in the amazing Sahara desert. We will spend the night in a traditional nomad tent. We will rise early to see the spectacle of the sunrise over the dunes of the Sahara desert before making our long journey back to Red city of Marrakech we will have our amazing breakfast and a shower in our luxury Berber camp. We will then follow the old Paris-Dakar road to Foum Zguid, crossing Iraqi lake. 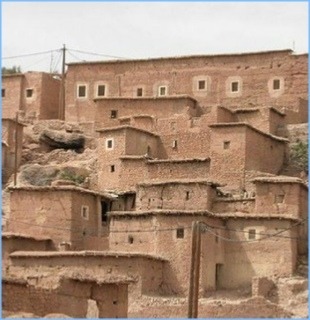 We will have lunch in the Berber village of Taznakht before continuing to Our Hotel / Riad in Marrakech late in the afternoon.